Your gift to Freedom Service Dogs will help us train more service dogs for people in need, like Eddie, a former U.S. Army Ranger who returned from Afghanistan and Iraq with PTSD. 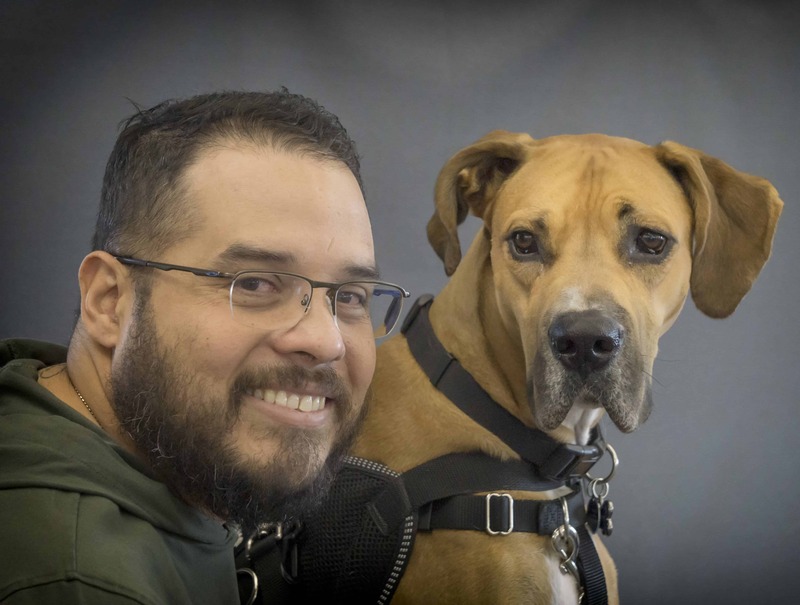 We matched Eddie with service dog Scrappy, who is helping him adjust to civilian life and deal with his PTSD symptoms. With your support, we can make more life-changing matches to provide more dogs, more quickly for the 100-plus people on our waiting list. Thank you for your generosity.